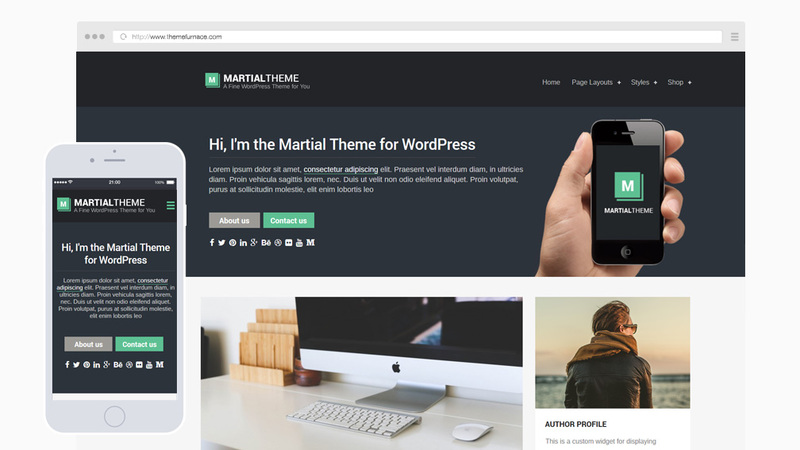 Martial is modern looking theme for bloggers, writers, photographers and other content creators looking for a traditional blog layout. Martial has some neat features such as hero header area which you can fill out with with an introduction about yourself and upload a background image, the image can be overlaid with color or blurred, all from the Customizer. This theme also includes two custom widgets – an author box to add your photo, about me information and social media profiles. It also includes a recent / popular posts widget so you can draw readers to your best content. The hero header has space for contact details, email and phone number, a social media menu so you can link to your profiles and integrated search area. Lots of neat typography and post styling along with things like built-in pagination, breadcrumbs, default thumbnail images. Compatible with WPML, bbPress, Woocommerce, Contactform 7, Jetpack, Gravity Forms and more popular plugins.